French Vendor Hopes to Make Noise with Sound-Based M-Payment | NFC Times – Near Field Communication and all contactless technology. Sound of payment: A French bank plans to try out technology that uses sound waves to conduct m-payment transactions. France-based Tagattitude, co-founded by smart card industry veteran Yves Eonnet, uses sound waves–not radio waves–to conduct “contactless” mobile transactions at the point of sale. A French bank wants to try out the technology, which does not require consumers to be outfitted with new phones as NFC does, noted Eonnet. BRED, part of the Banque Populaire cooperative banking group, plans to deploy up to 1,000 of Tagattitude’s TagPay terminals this year, probably targeting smaller supermarkets and other merchant locations in France, said Eonnet. He said several thousand more terminals are likely to be rolled out by the bank next year. BRED sees the technology as a way to capture transactions from unbanked consumers, whose phones need only come equipped with a ubiquitous microphone to conduct the transactions, not an NFC chip, said Eonnet. It's unclear how users would fund the m-payment accounts, however. The technology could work with some conventional POS terminals, from Hong Kong-based PAX Technology and, later, from France-based Ingenico, with only software upgrades, Eonnet said. Other merchants will need new terminals. An obvious question is whether TagPay transaction times, especially the extra communication between the consumer’s phone and the server, would slow things down in the checkout queue. Tone-based payment might also take some getting used to for consumers. With NFC, consumers tap, just as they do contactless cards used in many cities for transit ticketing and, to a lesser extent, retail payment–though in some markets, including France, it might require additional steps, especially for higher-value transactions. Eonnet contends it takes only five seconds or less for a TagPay transaction. And mobile network coverage would not be a problem, either, he said. After all, the system works in developing countries in Africa and Latin America, where Tagattitude is in the process of building business, such as in Ivory Coast, Cameroon and Kenya. Most of the population is unbanked in these countries. Tagattitude, which is funded by Innovacom, a venture capital firm started by France Telecom, will have a more difficult time establishing the technology in the developed world, especially France. 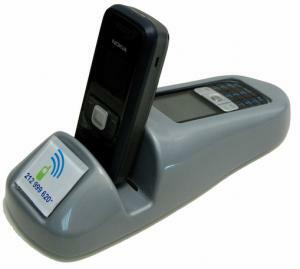 French banks, including Banque Populaire itself, has expressed support for NFC. Eonnet, who headed new applications for the smart card division of Schlumberger among other positions, keeps a close eye on NFC. While he predicts NFC might make it in the market, NFC-based payment will not.